Description: Dine-Aglow offers unscented, votive candles in various burn times. 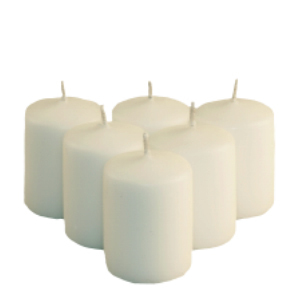 Votive candles are often used to warm food or create ambiance on wedding tables and at catering events. 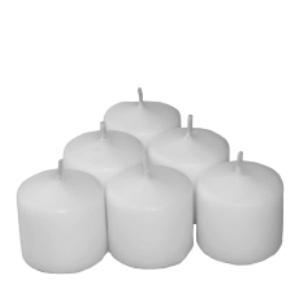 Our solid wax votive candles are created with a hand dipped process that results in smooth, drip-less, clean burning candles that are perfect for any outdoor or indoor event. We carry several sizes with various burn times that include 8-hour, 10-hour and 15-hour.